Zakka Naturals sounds like Japanese works but in fact, it is a cooperation of Japanese and American-Vietnamese people. After supplying ingredients and products for spas and salons for 3 years, they now provide premium natural cosmetics as well as aromatherapy products for retail customers. 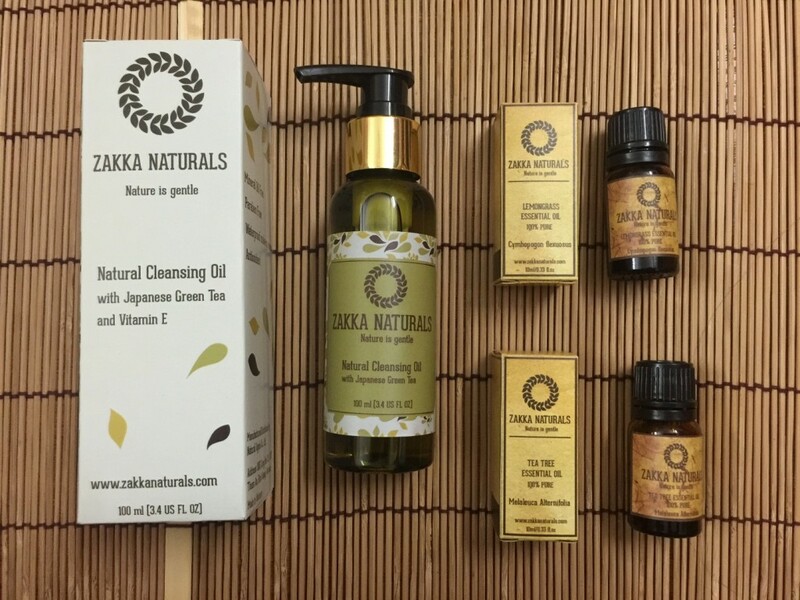 Zakka Naturals aims to help women achieve their beauty dream and health balance with a natural but effective way. They believe that finding a good balance of skincare and inner care will make women the most beautiful. Outside care can be nourished by cosmetics and inner care can be fulfilled with Aromatherapy and using safe skincare products. – Natural Cleansing Oils: deeply cleanses your skin and take away waterproof make-up as well as impurities. It does not dry skin but instead leaving a hydrated soft skin. It is made of 100% vegetable oils and pure essential oils with enhancement of catechins from Green Tea extract. – Silky Shine Hair Spray: contains Moroccan Argan Oil and Pure Essential Oil which will strengthen your hair and scalp, instantly make your hair silky and shiny. It is especially useful when applied after taking a wash.
– Restorative Hair Serum: contains exotic vegetable oils and most importantly Moroccan Argan oil and Japanese Camellia Oil. It helps nourishing your hair and scalp, reducing hair fall dramatically. Customers will see a great improvement after 1-2 weeks of using Zakka Naturals Restorative Hair Serum. You can also find more exotic oils like Rosehip oil, Argan oil, Camellia oil with highest quality at Zakka Naturals store. Their online store can be found atwww.zakkanaturals.com or Instagram: zakka_naturals.